NY: Atlantic Monthly Press, 2010. First edition, first prnt. Published in conjunction with El Leon Literary Arts. Unread copy in Fine condition in a Fine dustjacket with an archival cover. 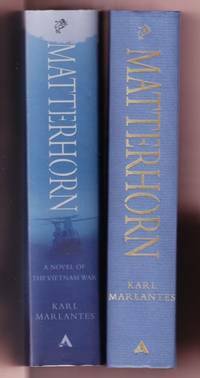 Marlantes' heralded first novel.. First Edition. Hardcovers.